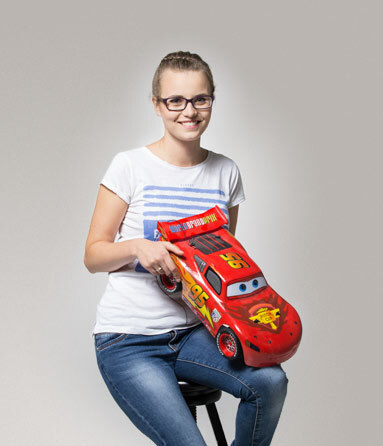 Alicja Woronkiewicz is a student of the fourth year of Psychology at the University of Gdańsk, specializing in neuro-bio-psychology. During her studies, she completed courses on such issues as: diagnosing a small child, diagnosing a primary school student, pervasive developmental disorders. She completed three-stage training on behavior therapy of autistic children. She used to work as an animator and children’s party coordinator in ‘Edward’, a Center of Creative Games. She used to work as a babysitter and counsellor at camps, too. She did apprenticeship at Preschool no. 77 for children with cerebral palsy. Since 2012, she has been a volunteer at ‘Spring’ (Pol. ‘Wiosna’) Association, performing the role of a tutor and co-leader in the programme ‘Acedemy of the Future’ (Pol. ‘Akademia Przyszłości’). She is an instructor at Polish Scouting and Guiding Association. She used to be a fellow Scout of a unit of scouts. She has cooperated with Diagnosis and Therapy Center, where she did her apprenticeship and internship, since October 2015.